Today is World AIDS Day and we are taking a moment to highlight the work Community Health Centers are doing to reduce the incidence of HIV and care for people living with HIV. The National HIV/AIDS Strategy for the United States: Updated to 2020 calls for the integration of high-quality HIV services in health centers and implementation of sustainable HIV testing and care coordination programs. Health centers are essentially on the front lines of HIV treatment and prevention, and making a difference. The number of health center patients receiving HIV testing has increased by 66 percent during 2010 and 2015, according to federal data. 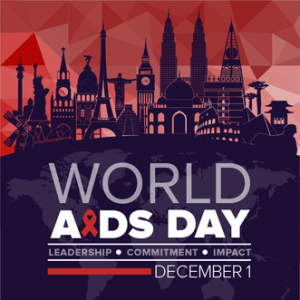 Because the HIV/AIDS epidemic has disproportionately affected the medically underserved, health centers are uniquely positioned to provide comprehensive HIV prevention and treatment and are developing ways to continually improve their services to patients. They are integrating care management and coordination services to boost health outcomes, and are poised to make HIV screening part of a routine exam any patient receives. They are also trying to increase prescriptions of pre- (PrEP) and post- (nPEP) exposure prophylaxis for HIV to keep persons at risk of HIV from becoming infected. Health centers have begun training their expanded care teams to engage patients in discussions about their sexual health, specifically asking all patients about their sexual orientation and gender identity, and asking questions to better understand patient risk for HIV infection. There are also resources for training and technical assistance. A case in point is the Denver Prevention Training Center (Denver PTC). The Denver PTC works with health centers and Primary Care Associations to assess and improve current HIV prevention services. One way they can do this is by working on routine HIV screening workflows and providing free consultation to help support or enhance a health center’s current HIV care coordination efforts. Metro Community Provider Network in Colorado is one group using Denver PTC’s free services. Realizing the need to limit their providers’ time away from serving patients, they worked with Denver PTC to have them conduct PrEP trainings for all of their providers at six different clinics in a lunch and learn style to prepare providers for PrEP provision. The Denver PTC offers resources in formats easily accessible to busy clinicians, such as recorded webinars and online tools and have even developed flexible trainings such as onsite mentoring on their website, www.denverptc.org. NACHC is partnering with Denver PTC to provide free HIV prevention capacity building services to health centers and PCAs. For more information on this service, contact Ashley Barrington at abarrington@nachc.com. December 15, 2016: 12:00pm – 1:30pm Eastern. Register.